Liposomal preparation from stem cells of a rare Swiss apple known for its longevity. Increases vitality, delays senescence and combats chronological aging. This extract has been shown to help skin stem cells maintain their characteristics and their capacity to build new tissues. It also has been shown to delay aging and have an anti-wrinkle effect. Preparation of Leontopodium Alpinum meristem culture that provides antioxidant activity, anti-hyaluronidasic activity and anti-collagensaic activity. 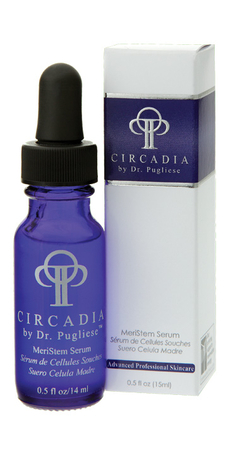 Thus, it is shown to reduce wrinkle depth by 15% around the eye after only 20 days of treatment. Rich in mucilaginous polysaccharides including acemannin (one of the active metabolites of Aloe), wound healing, stimulates fibroblast growth, angiogenesis, and re-epithelializtion. Reduces inflammation and increases collagen synthesis. A novel cyclopeptide binds integrins and increases signaling for extracellular matrix production and cross-talk between skin cells. This results in increased tensil and compressive strength, elasticity and firmness. Wrinkles are reduced and the skin is smoothed. Use morning and night on cleansed skin. For best results, use before PhiTo-Pep 1.6.